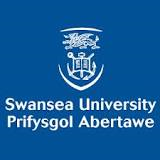 International Journal of Multidisciplinary Sciences and Engineering (IJMSE) is a multi-disciplinary, peer-reviewed international journal for publication of novel ideas, the state-of-the-art research results and fundamental advances in all aspects of theoretical and applied topics in science and engineering including areas in natural and social sciences. The objective of the IJMSE is to serve a better understanding between the researchers and practitioners from academia and industry. IJMSE is a monthly journal that publishes articles which contribute new theoretical results. The paper submitted to IJMSE should describe original and previously unpublished works, not currently under review by another conference, workshop or journal. However, authors can submit the extended version of conference papers. Papers for publication are selected through peer review to ensure originality, relevance, and readability. Upon preliminary evaluation by the Editorial Board, the papers are sent to two referees (experts in respective fields) for evaluation. The decision of the Editor-in-Chief to publish a paper in concurrence with referee(s) opinion is considered final. 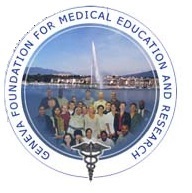 Geneva Foundation, Medical Education & Res.